Swollen rivers have caused devastating flooding across the Balkan region of Europe. Heavy rain—including three months’ worth in just three days—has overwhelmed the region’s rivers, affecting more than three million people. 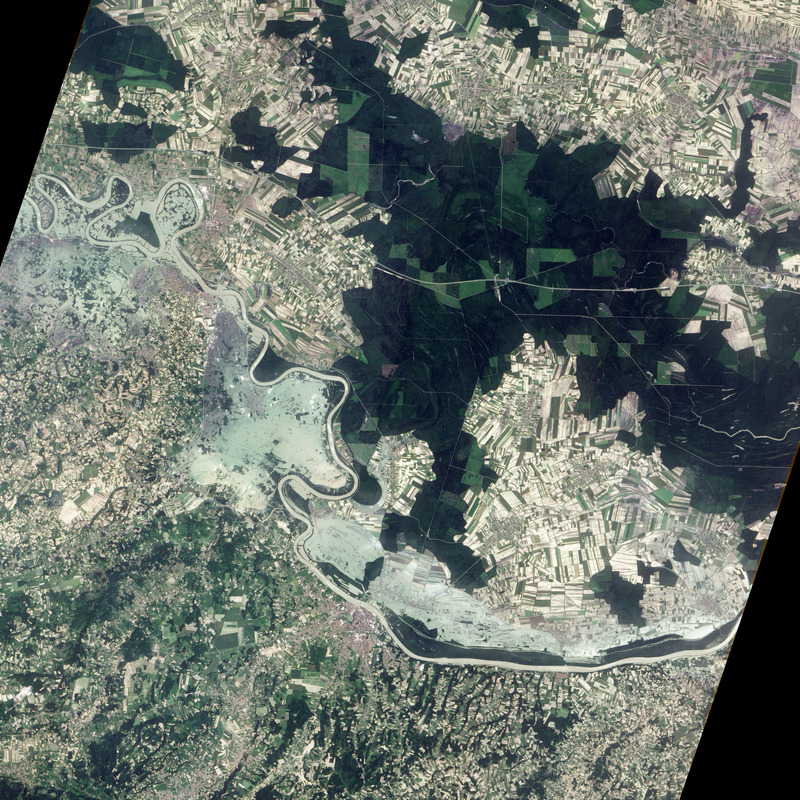 The Advanced Land Imager (ALI) on NASA’s Earth Observing-1 (EO-1) satellite acquired this image of the Sava River on May 23, 2014. Bosnia and Herzegovina is on the south side of the river, while Croatia is to the north. 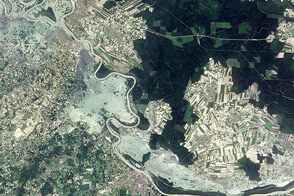 The top image shows a close-up of the town of Vidovice, Bosnia and Herzegovina, at ALI’s full resolution. The city is surrounded by and submerged under floodwater. 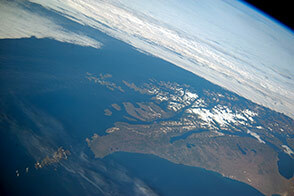 The lower image provides a wider view of the region. 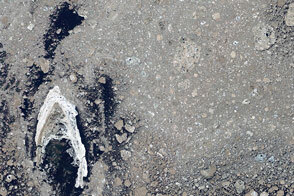 Muddy, brown water expands out from the river channel on both sides. The floods have triggered landslides that displaced landmines and warning signs. One mine exploded in the Brcko region. The floods are expected to continue with ongoing heavy rain throughout the Balkans. NASA Earth Observatory image by Jesse Allen, using EO-1 ALI data provided courtesy of the NASA EO-1 team. Caption by Holli Riebeek. 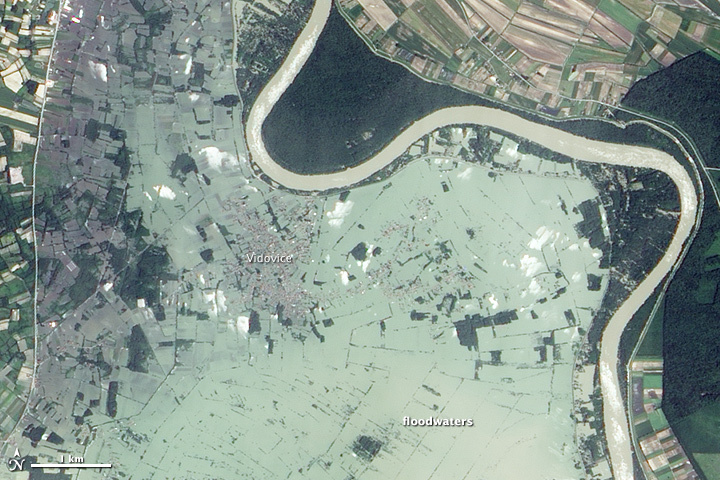 The swollen Sava River covers at least three towns in this image. 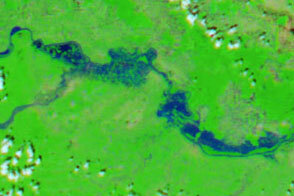 It is one of many flooded rivers in the Balkan states. Assessment Capacities Project (ACAPS) (2014, May 23). 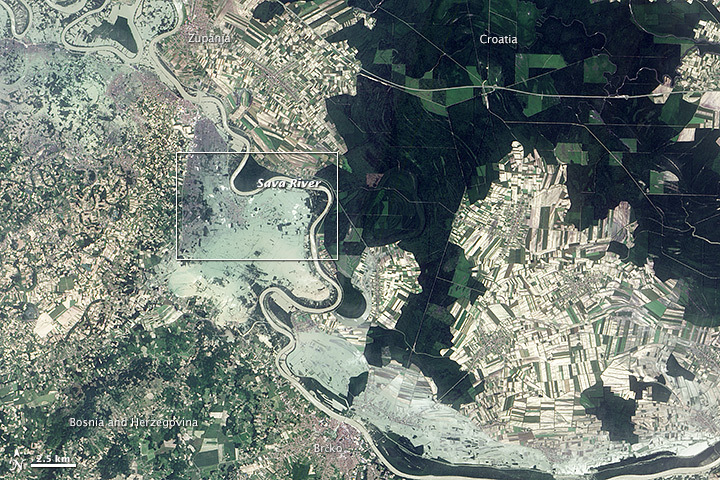 Floods in Serbia, Bosnia and Herzegovina, and Croatia. Accessed May 23, 2014.